You are here: Home / Great Deals / Pre-Order Hatchimals Right Now! 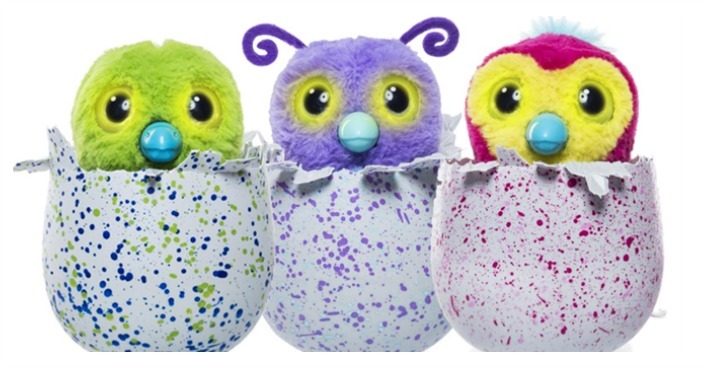 ToysRUs is now offering a guaranteed pre-order for Hatchimals right now for $79.99! You can choose from Draggles Blue/Green egg, Draggles Blue/Purple egg, Pengualas Pink/Teal egg or Pengualas Pink Egg!! Please keep in mind that these will arrive after Christmas but can be used as gifts for any other special occasion! Plus shipping is FREE on order over $19 and in-store pickup is not available at this time!